And yet another Carlisle view from Ted Talbot. On the back of this is written: "Carlisle - Rome Street Junction looking south circa 1878." This is Rome Street Junction looking SE. In the foreground, left - the Carlisle Joint Goods Line from Caldew Junction, right the NER Canal Branch. 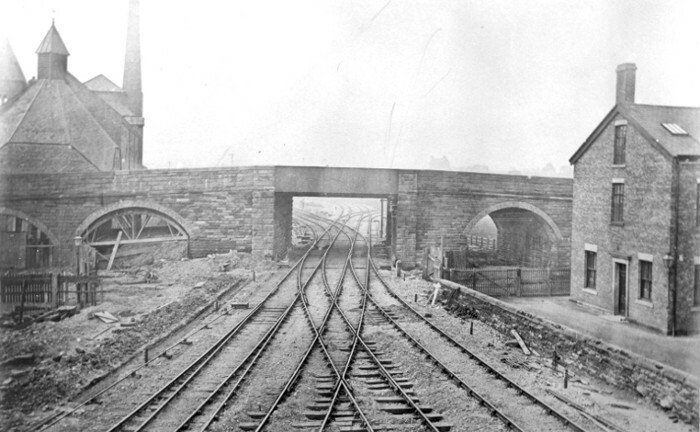 Through the bridge, from the left, the NER Canal Branch to London Road, the Joint Goods Line to Upperby Junction and the M&C curve to Forks Junction, circa 1878.